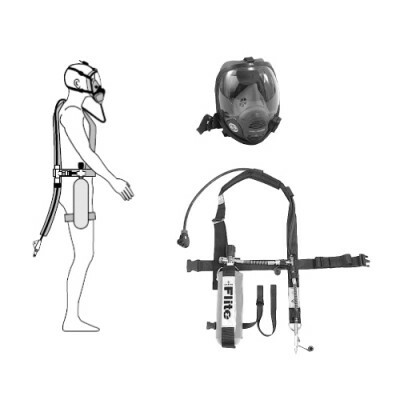 Find here the essential information on hydrogen – or dihydrogen(H2): characteristics, effects on health, detection devices & systems – hydrogen gas detectors – and proper respiratory protective equipment (self-contained breathing apparatus and supplied air respirator). Industrially produced by reforming hydrocarbons – natural gas steam reforming – hydrogen (H2) – also called dihydrogen – is mainly used to remove sulfur from petroleum fuels and to produce ammonia. It is also considered as the fuel of the future (fuel cells). It is primarily released while charging batteries or during welding. Hydrogen (H2) is extremely flammable (R12) with wide explosive limits between 4 and 75% volume. As it is particularly lightweight, major hydrogen gas hazards are the replacement of oxygen in suspended ceilings and other high up confined spaces. Colorless and odorless, its presence cannot be detected without proper equipment. Even if it is not toxic, high concentrations of hydrogen will reduce the oxygen rate, which can lead to asphyxia. For all these reasons it is important to use an hydrogen monitor to detect dangerous concentrations. As hydrogen is not detectable through smell, only H2 gas detectors can accurately measure concentrations of this gas. Two hydrogen monitors technologies are available: either in toxicity with ppm measurement (slightly rare), or in explosivity with monitoring in percentage of the LEL (combustible gas detector). 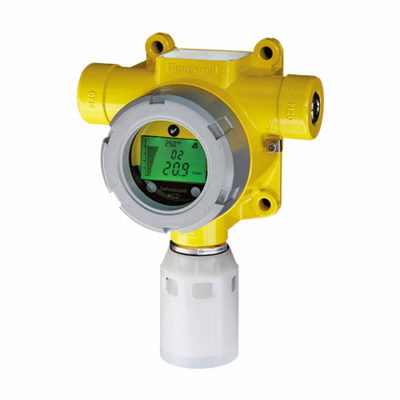 The toxic gas detector GasBadge Pro ATEX series with interchangeable sensor. With a competitive price, this ATEX portable gas detector with interchangeable sensor combines power and flexibility. Detection of Cl2, ClO2, CO, HCN, H2, H2S, NH3, NO2, O2, PH3, SO2. 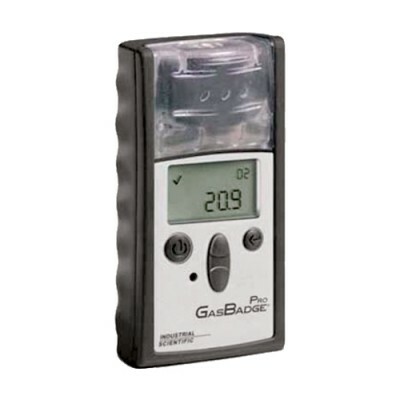 The GASBADGE PRO toxic gas detector is a classic single-gas detector. 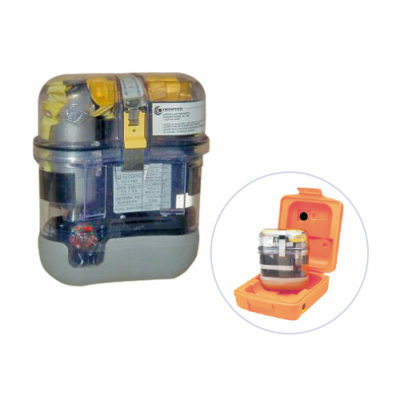 Its long-duration battery operates for about 2,600 hours and can be replaced when used. 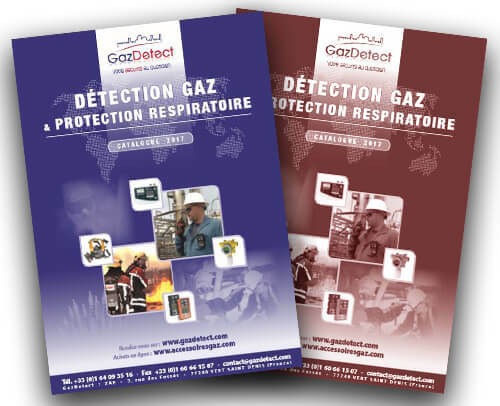 As for any other classic single-gas detectors, it is highly recommended to calibrate the GASBADGE PRO twice a year to ensure proper operation. The GASBADGE PRO toxic gas monitor is a classic single-gas detector with interchangeable sensors and features a large range of electrochemical sensors. This technology is designed to detect toxic gases: Cl2 (chlorine), ClO2 (chlorine dioxide), CO (carbon monoxide), HCN (hydrogen cyanide), H2 (hydrogen), H2S (hydrogen sulfide), NH3 (ammonia), NO2 (nitrogen dioxide), O2 (oxygen), PH3 (phosphine) and SO2 (sulfur dioxide). The GASBADGE PRO has 3 alarms: a powerful 95 dB audible alarm to alert even in noisy environments, a red LED visual alarm for view alert signals even in the darkest places like confined spaces and a vibrating alarm. These alarms will be triggered by 4 events: if the lower or the upper limit values are reached, if concentrations get over the occupational exposure limit or if the average value threshold is exceeded. Abnormal gas concentrations and other data can also be saved and downloaded from the device. 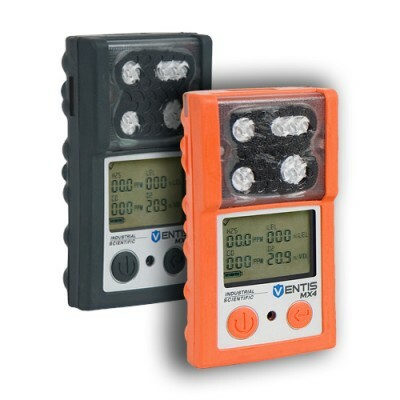 Compact and lightweight, the GASBADGE PRO toxic gas detector is made with a strong polycarbonate housing with a robust and waterproof over-mold in compliance with IP67 protection. 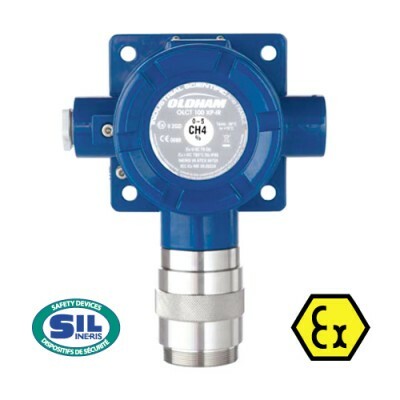 The GASBADGE PRO is ATEX approved as well for explosive atmosphere under current EU standards. Hydrogen is an asphyxiating gas with important risks of suffocation. 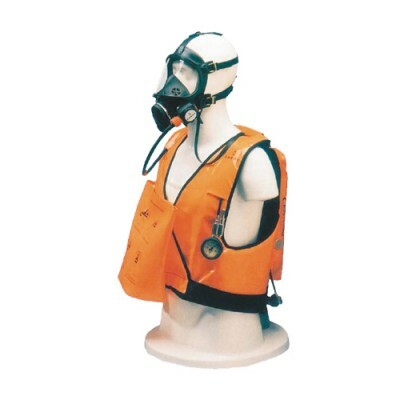 It is recommended to wear an opened-circuit self-contained breathing apparatus (SCBA) or an air supplying respirator for long-term interventions. 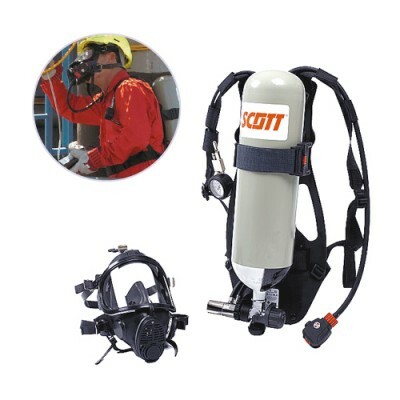 The M20.2 is the world’s smallest emergency escape breathing device (or EEBD). Compact, lightweight and ergonomic, it can be easily belt-mounted. Donning time : less than 10 seconds. Compact and lightweight: 18.3 x 16.5 x 7.9 cm – less than 1 kg. Can be refurbished after use.